From retail markets to e-commerce: Magento development is popping up everywhere! 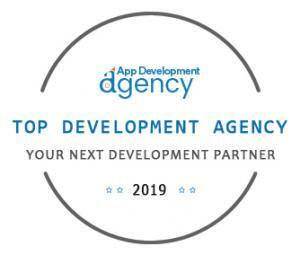 BELMONT, UNITED STATES, February 20, 2019 /EINPresswire.com/ -- App Development Agency, explains the process involved in ranking top Magento e-Commerce development companies1 and the importance of checking facts and researching the subject. Since the founding of e-commerce, the tech-craving populace of developers (various techniques) has routinely gained the attention of App Development Agency (ADA2) to soak in the ample arts of the marketplace. ADA has become the epicenter and has sprung up as rallying quietly to make and mark barren developers into thriving performers. It is a no lofty techy center (like those long-promised by prevalent research firms) but is a common-place unit of IT development. ADA has provided a platform that scrutinizes the available information and finds out a solution to existing problems. It has been sorting out the best performers based on stringent criteria like clear management of priorities ((a) Deciding what is to be measured – performance, timely delivery, budget constraints, proper communication with clients, adopting the latest technologies, was the company able to satisfy client requirements, including any reasonable objection that occurred with stakeholders etc.) (b) Deciding how to measure it – what factors should be included? etc. ), checking if they are just performing or exceeding the expectations, is the company competent enough to get listed, have they provided valid proofs to all the criteria, do the statistics helps these companies defend against all exceptions etc. Web Page ranks, number of site/app visits and other measures of web page popularity significantly influence the rankings of search results. As popularity is closely related with quality, ADA proposed a simple and elegant solution to control the amount of randomness into ranking methods. This offers new organizations a chance to prove their worth. As a tradeoff between exploration to estimate the quality of services provided and exploitation of companies already known to be of high quality, ADA has thus introduced a voting platform whereby users can vote the high performing companies. The number of votes is the decision factor to rank a company. A modest amount of randomness leads to improved search results. 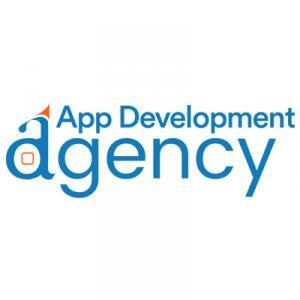 App Development Agency is into the process of matching up efficient developers with software service providers, ones who have been consistently making efforts to improve, despite the prevalent competition. ADA has covered various industries and solutions provided by the IT companies to handle particular issues. They have been iterating their scrutiny every time they come across a new firm (service provider), a new problem, a new client (service seeker) and a relevant solution to that problem.